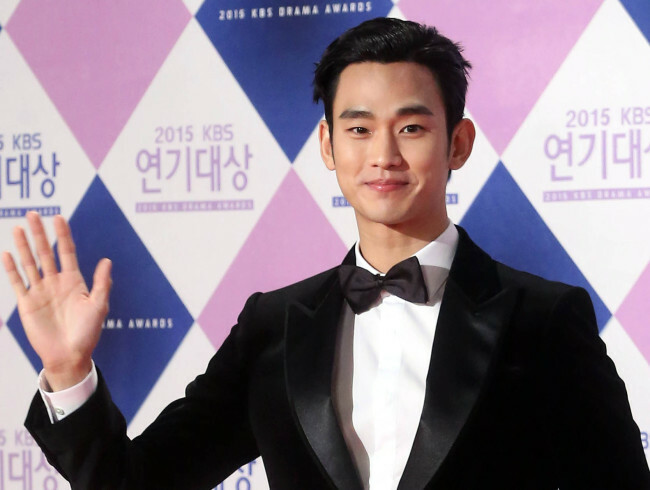 Actor Kim Soo-hyun has received the top prize at the KBS Drama Awards 2015 for his excellent role in "Producers," a workplace drama set in the entertainment department of a fictional KBS. Kim, who played rookie producer Baek Seung-chan in the 15-part series drama, which ended in June, also grabbed two other awards -- International Netizens' Award and Best Couple Award. Kim rose to stardom by appearing in the fantasy-romance drama "You Who Came From the Stars," which tells the story of an alien from outer space who falls in love with a top actress.